On this bike path you will explore lowland forests, original villages and magical cities. Of course the 3 metropolises Vienna, Bratislava and Budapest are the best-known. In Carnuntum and in the Roman castle Kelemantia you find Roman relics from the past. Discover the diversity of the flora and fauna in the lowland forests. The small villages, which you cycle through, still keep their original charm. You pass through the Rye Island that is a real natural paradise. Don´t forget the numerous castles and palaces, which are proudly situated nearby the Danube. But although the small towns along the bike trail have a special flair and their charming historic centers invite visitors to discover and enjoy. Overall this bike tour will inspire everybody! It is recommended to arrive early. This metropolis on the Danube has plenty to offer and it is worth to stay there for a longer time. Enjoy a cup of coffee and the typical Vienna cake „Sachertorte“ in one of the numerous coffee houses or treat yourself to a roundtrip with the horse-drawn cab „Fiaker“. 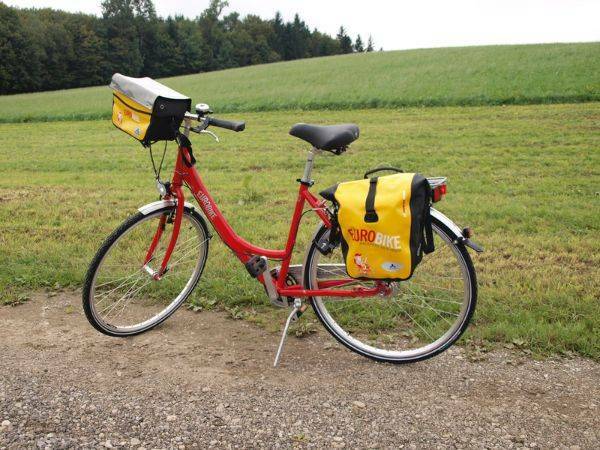 The first distance of your bike trip guides you through the national park Donau-Auen. There you will get to know the diversity of the flora and fauna as well as the manifold types of landscape. You pass the castle Orth and the village Eckertsau and reach Bad Deutsch Altenburg. 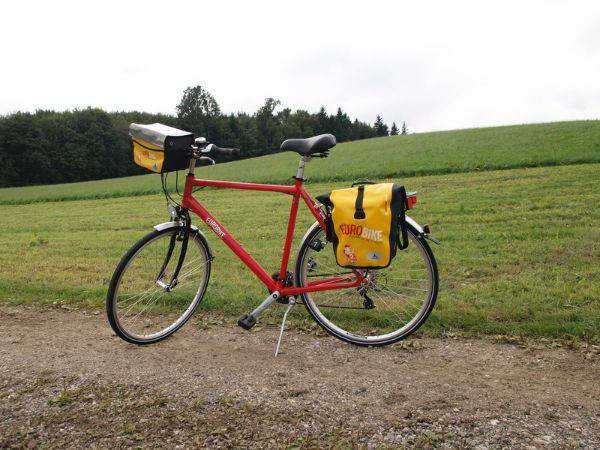 There you can make an excursion on the Roman bike trail (Römerweg) to Carnuntum. The archaeological park is regarded as one of the most significant archaeological sites in Austria. After Hainburg you reach the border to Slovakia and it´s capital city Bratislava that is your next overnight stay. You cycle a short distance in Slovak territory before you pass the Hungarian border in Rajká. Within the first few kilometers of your cycle trip in Hungary you will discover charming villages. The complete section is influenced by agriculture. Your route guides you through the so-called Szigetköz (a small Rye Island). This is characterized by numberless side arms of the Danube. Today´s destination is Mosonmagyaróvár which is also called „City of 17 bridges“. Also today you cycle through the nature paradise of the small Rye Island. On your way you pass Hédervár, which is perfectly suitable for lunch break. The castle is situated in the middle of a protected park. You should schedule a plenty of time for visiting Györ. The district capital offers many sights and a breathtaking historic center. Soon you reach the Hungarian Böny. From there a route version guides you to Bábolna, a well cultivated town with a beautiful inner city. The local National Stud is known far beyond its borders. Racehorses are bred in the splendid inner courtyard. The last part of the route takes you back to the Danube. Then you reach the divided town Komárom/Komárno. At night you can relax in the local spa. The Royal Palace and the castle of Visegrád will delight you and the open air museum as well as the baroque old town of Szentendre invites you to stay. The first part of today will guide you again through the “Donauknie”, probably the most attractive section of the Danube bike trail at all. Soon you will arrive in Budapest, where you can review all impressions of this wonderful bike trip during a walk through the city. In the Hungarian capital city there are many things to discover. If you are interested in we would be pleased to book some extra nights for you. Our transfer from Budapest to Vienna is very comfortable (this can be arranged at additional charge). You cycle on bike trails, ways alongside a dam and partly on relatively quiet side roads. Busy roads are of short-term duration. You cycle on unmade paths only for 3 short distances otherwise you will find asphalted roads. On the whole the route is signed very well with a few exceptions in the Slovakian part. Altogether the tour is relatively easy with slightly increases in some sections. 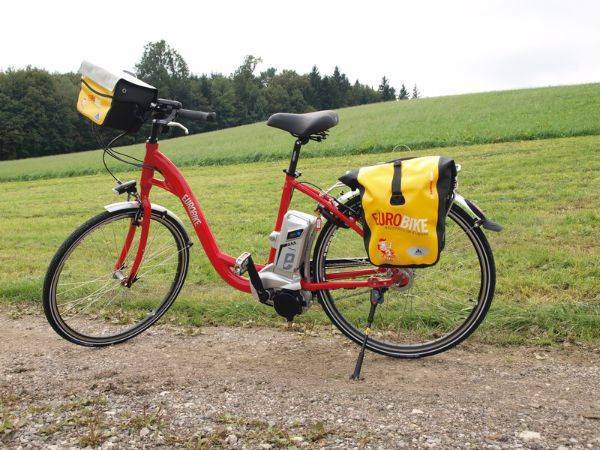 We recommend flying to Vienna airport to reach the starting point of this cycling holiday. 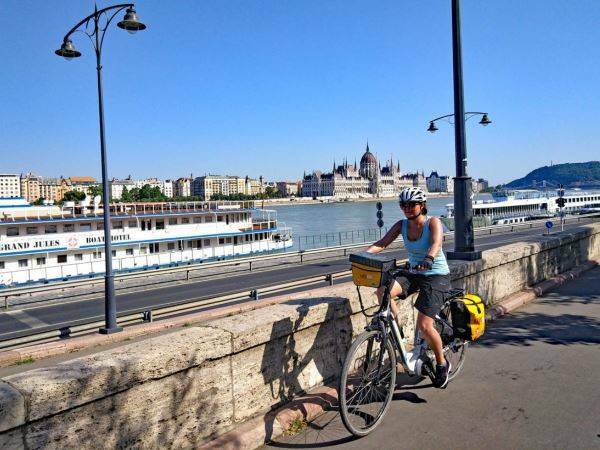 The Vienna to Budapest cycling holiday includes the daily transfer of luggage to the next hotel and local support if required.